Previously expected to arrive in the first days of December, the Nokia 9 PureView will probably be unveiled later this month in Barcelona, at HMD Global's official press event that is scheduled to take place before the opening day of MWC 2019. 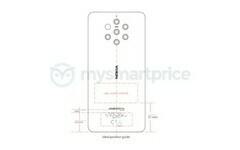 Finally listed by the FCC, this handset will come in single-SIM and dual-SIM variants. Nokia 9 PureView with its five rear cameras seemed like too much for a product that would actually be unveiled before 2020. However, it was supposed to be unveiled on December 4, 2018, but that rumor did not turn into reality. Now, this upcoming flagship has surfaced at FCC and it seems to be on its way to a pre-MWC 2019 unveil during HMD Global's special press event scheduled for later this month in Barcelona. 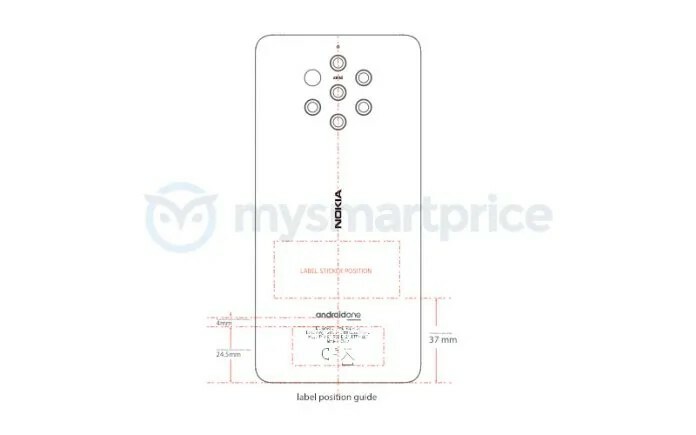 According to the FCC documents, the Nokia 9 PureView will come in two main variants: single-SIM (model TA-1082) and dual-SIM (model numbers TA-1087 and TA-1094). The Chinese market is expected to get the device without the Android One sticker, while Taiwan should receive the Android One-certified Nokia 9 PureView. Other than this detail, there should be no hardware differences between the models for these two markets. As usual, the FCC listing does not come with any technical details, so let us take another look at the rumored specs and features of this flagship that could take the entire world by surprise — if those five cameras turn out to be better than the trio on the back of the Huawei P20 Pro: Qualcomm Snapdragon 845 processor, Gorilla Glass-coated 5.99-inch QHD+ AMOLED touchscreen, HDR10 content playback, Always-On display mode, 6 GB of memory, 128 GB of storage space, 12 MP selfie shooter, in-display fingerprint reader, a 4,150 mAh battery with 18 W fast charging. Some love the Nokia smartphones, some hate them, so the Nokia 9 PureView has a tough task that lies ahead. In the end, this handset could prove once again that more cameras are not necessarily better, but it could also turn out to be a game changer.